Biography: Pól Ó Gallchóir was born in Gaoth Dobhair in County Donegal. He attended University of Ireland Galway. He was appointed a journalist in the RTÉ news room in Donnybrook in 1980. In 1987 he was appointed as regional officer with Raidió na Gaeltachta based in Doirí Beaga. In 1994 he was appointed as Head of Raidió na Gaeltachta based in Casla, County Galway. In 2000 Pól was appointed Director General of TG4 and he spent more than sixteen years in that post. He resigned from this post in September 2016. He was appointed Chairperson of Foras na Gaeilge in December 2016. Further information will be available here in relation to an appointment. Biography: Barra was born and raised in Newtownhamilton, south Armagh. He attended St. Patrick’s College in Armagh and gained an honours degree in Irish in St. Mary’s University College, Belfast in 2002. He spent a year as President of the Students’ Union in St. Mary’s University College as well. He is an Irish-medium teacher, working in Gaelscoil Phádraig Naofa in Crossmaglen and was appointed a Sinn Féin councillor in 2014. He is married to Rosemary and they have four children, Róise, Ríona, Naoise and Lorcán. Barry is a member of St. Michael’s Football Club, Newtownhamilton, and he trains young players and is a club officer. He is a member of the Irish Bowling Association and is on the committee of Gaelphobal Ard Mhacha Theas since its foundation. Conor McGuinness is a political activist who lives in the Decies Gaeltacht, an Rinn in west Waterford. He obtained a bachelor degree in Irish from the National University of Ireland, Galway, as well as a master’s degree in public advocacy and activism. 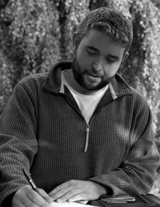 His background is in the television production sector, and he has worked on programmes for RTÉ and TG4. 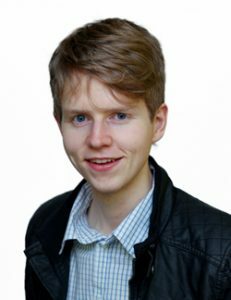 Conor spent a period of time in the Basque Country working with young people as part of a trilingual education project, where he had the opportunity to become familiar with that country’s language policy and activism. 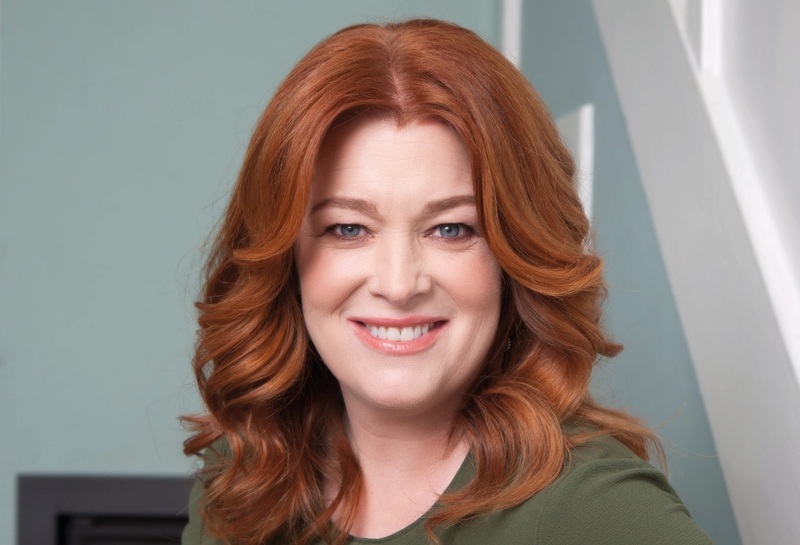 Snapped up at the young age of 18, Bláthnaid Ní Chofaigh has worked in RTÉ as a TV and radio presenter and ambassador for the national broadcaster. Bláthnaid has an obvious talent for interviews and is most comfortable relating to the public, with her passion in driving stories being her ultimate goal. At any opportunity she stresses the importance of recognising oppression and sharing information with the audience. Bláthnaid’s career often follows her personal life and she makes connections with many of her subject matters. 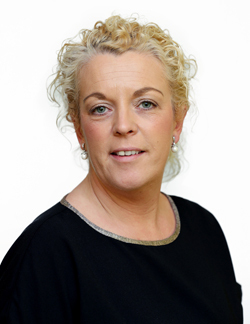 She continues her personal interests through her work with Plan Ireland and St. James’s Hospital. Her personal obligation to the Irish language is constant and consistent. Bláthnaid recently completed her MA in Women & Gender Studies in UCD, where origin and identity in her academic writings were most prominent. Bláthnaid begins her third season on Bláthnaid Libh for Raidió na Gaeltachta after spending her Saturday mornings during the month of August 2017 with Derek Mooney for RTÉ Radio 1 with The Mooney Show. Bláthnaid is married to Ciarán and lives in Dublin with her four children. Born in Canada and brought up in the Gaeltacht in Meath she still holds a strong link with her native Meath and her ancestral home of Connemara. Bláthnaid is honoured and proud to sit on the Foras na Gaeilge board. *The “One Person One Salary Principle” applies to those public servants who fall within circular E109/247/74 issued by the Irish Government’s Department of Public Expenditure and Reform. This means that such personnel do not receive fees for their membership of boards. Biography: Gráinne McElwain hails from Ballinode in Co. Monaghan. Born in Canada she returned to Ireland aged four and attended the local primary school in Tydavnet NS before receiving her second level education in St. Louis Convent in Monaghan Town. A graduate of Humanities in Irish and History from the University of Ulster she received her Higher Diploma in Teaching from UCD and spent a number of years as a secondary school teacher in both Monaghan and Dublin. Gráinne left teaching in 2003 to pursue a career in the media and now works as a freelance presenter, producer and journalist. She presents Ladies GAA football Peil na mBan Beo on TG4 and works as a sports producer with the station. She has also presented programmes on Setanta Sports and BBC NI and produced documentaries for TG4 and RTÉ. 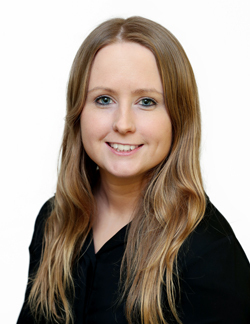 Gráinne is currently a sports journalist with the weekly Irish supplement Seachtain for the Irish Independent. Apart from her huge interest in sport, Gráinne enjoys drama and has been involved in amateur dramatics. She lives in the Gaeltacht in Connemara, Co. Galway and is married with three young children. Biography: Máire Ní Neachtain is from Baile an tSagairt in an Spidéal in the Cois Fharraige Gaeltacht. 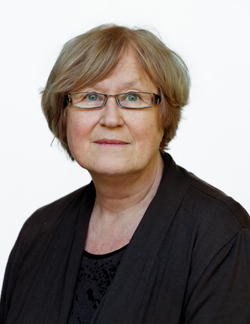 She is Head of the Irish Department and Assistant Dean in the Faculty of Arts in Mary Immaculate College in Limerick. Irish language sociolinguistics and Irish language drama are her most important research areas agus she Works in the field of Irish language acquisition as a first language. Máire is very interested in community matters and in the arts. She is very active as a voluntary worker with the Irish language and in the Gaeltacht and in language and culture organisations outside of the Gaeltacht. She is a secretary of Aisteoirí an Spidéil drama society and is chairperson of Éigse an Spidéil. She is a former chairperson of Cumann Merriman and she is still ón the society’s committee. She spent long time ón the board of Forbairt Naíonraí Teoranta. She is the chairperson of Fóram Chois Fharraige um Phleanáil Teanga, the language planning forum in Cois Fharraige, given the responsibility by the Department of the Gaeltacht for the preparation of a language plan for the Cois Fharraige area. She was part of the working group that compiled Plean Teanga an Spidéil, the language plan for an Spidéal, which was published in 2011. She is often to be heard in the broadcast and visual media as a commentator on contemporary Irish language and Gaeltacht issues. Biography: Seán Ó hArgáin is from Waterville but has been living in Kilkenny for fourteen years. He has been principal of Gaelscoil Osraí from 2008, where he had been teaching since 2002. This is a twenty-two teacher school established in 1984. Seán is also a board member and former Chairperson of Coláiste Pobail Osraí, the second-level Irish-medium school in the city. Seán is a director of Gaelscoileanna Teo. and is at present Public Relations Officer. Seán attended St. Fionán’s National School in Waterville, St. Fionán’s College in Mullingar and Waterville Technical School. He gained an honours degree in education (B.Ed.) in Froebel College and Trinity College. 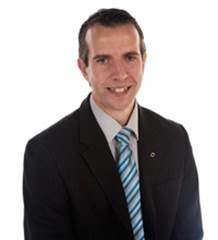 He gained a master’s degree in computing in education from Tralee Institute of Education and CIT in 2001. Seán spent some time working with Ógras as a development officer in the late eighties after being elected as Vice-President of the Union of Students of Ireland in 1986-87. 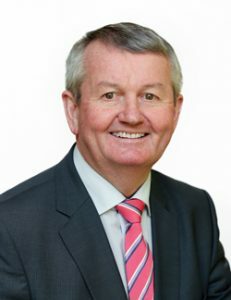 Seán was also elected as Mayor of Kilkenny City in 2012, and during that year he strongly promoted Irish in the city. Seán is active in the new language group Gaeil Chainnigh, which is seeking to preserve the language as a community language in the city. He is a former correspondent with Raidió na Gaeltachta while he was living in Iveragh and he is often heard and seen on RnaG annd TG4. Seán and his wife, Marian Flannery, have two grown up children. As a pastime Seán has a great interest in sport and he participates in marathons and triathlons. He is a member of the James Stephen’s GAA club and Kilkenny rugby club and Kilkenny Harriers Athletic Club and Kilkenny Triathlon Club. He has a particular interest in music and the arts and he was Irish Language Officer for the Leinster Fleadh Cheoil in Kilkenny recently. He is a board member of the de Buitléar Gallery in the city and a former director of the Watergate theatre in the city. Biography: Seán Mícheál was born in Leac Chonaill in the parish of Ardara, Co. Donegal in 1951. He received his formal education in Scoil Náisiúnta Leac Chonaill, Coláiste Éinde, Galway and St. Patrick’ College, Drumcondra, Dublin. From 1979 to 2006 he was Principal of Scoil Náisiúnta na Breacaí, Ard an Rátha. For the past forty years he has been involved in community development. As a member of the local G.A.A. Club he has been active as a player, an underage coach and as club officer. He was the secretary of Coiste Peile na Gaeltachta, Tír Chonaill, for thirteen years and chairperson of the local club for four years. 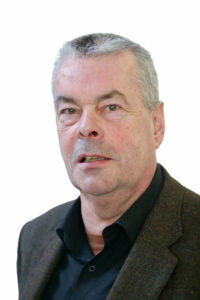 Biography: Seán Ó Coistealbha has been Principle Officer of Muintearas from 1996. He has spent thirty years working with Muintearas, where he started working as Youth Manager in 1985. He has considerable experience in community development, education and the Irish language. He has published two poetry books, Stadhan in 2012 and Dídean in 2002. He has been closely involved in Irish language theatre since 1980, taking many parts in plays with the Taibhdhearc and Aisteoirí an Spidéil. Seán is closely associated with Diaspora projects and he has done much for Irish speakers in the New England states in America and in the Maritime provinces of Canada. He spent a period as Chairperson of Comhlacht Forbartha an Spidéil, as a director of Taibhdhearc na Gaillimhe, and he is at present a member of Galway LCDC. He is married to the artist Lisa Olsthoorn and they have a family of five: Zara, Johannas, Maela, Dualta and Fiach. He lives in An Pháirc in An Spidéal. Biography: Mairéad is 27 years of age and lives in Galway City. She gained an international BA in Economics and History from University of Ireland, Galway, in 2012. 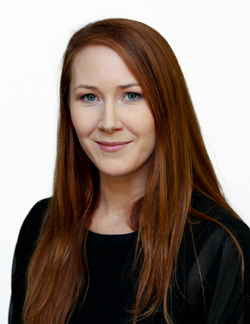 She has a Science Masters in Enterprise Management and Financial Governance from Queen’s University, Belfast. She is working as a city councillor in Galway since she was elected in May 2014. As well as that she is working as a financial derivative on financial derivatives in a bank. Biography: Maighréad was born and raised in north Belfast. She attended the University of Ulster where she gained a degree in Irish. She spent some years working as Irish Language Development Officer with the McCracken Cultural Society in north Belfast before she went to St. Mary’s University College to gain the Postgraduate Certificate in Education. Maighréad was appointed as a Gaelscoil teacher in a newly established school on the outskirts of the city, Gaelscoil Éanna, in 2008. She went on to gain the Principal’s Leadership Qualification and she was appointed as principal in the school, which continues to grow and develop in 2012. She is a director of the McCracken Cultural Society and she acts as treasurer for the organisation at present. She is a member of St. Enda’s GAC and has been recently appointed as Child Protection Officer. Maighréad has been a member of Sinn Féin for a number of years and she has a keen interest in politics. Maighréad has one son, Oisín Rosa who is 10 years of age, and both of them are very interested in the Irish language and culture. Maighréad is very active in Irish language development work and in Irish medium education in Belfast city and the surrounding area. Biography: Niall was born and reared in Lifford in east Donegal, a small town located close to the border with Tyrone. He attended University of Ireland, Galway, where he gained a primary degree in Irish and History, as well as a master’s degree in journalism as well. Niall is working now as a political advisor and constituency manager with the Dáil Deputy Pearse Doherty. He is very interested in politics and current affairs. Three appointments from Northern Ireland to be confirmed.